I love the pink/black saddle. Love, love, love! Aaarh, matey! 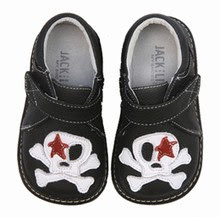 Cap'n Jappy* sails the seven seas in his unbelievably adorable skull shoes from Jack and Lily's new collection of outdoor-friendly soft-soled shoes, My Shoes. We've had several pairs of Jack and Lily Original Collection shoes before, some plain and some with the sweet chenille appliques. They were very nice indeed but now that Jasper is toddling around more, it's great to have the more durable soles of My Shoes. They are still just as comfy as the originals, but definitely more rugged. The skull My Shoes are undoubtedly the coolest pair of toddler shoes I have ever seen. People stop us to ask where we got them. I think they actually give Jasper a bit of a spring in his step! And if Jasper was a girl, the Lovebirds My Shoes would be my top priority. Oh, how I wish they made them in my Roo's size! To enter and win a pair of Jack and Lily shoes (Original Collection, sizes newborn-3/4 years, or My Shoes Collection, sizes newborn -18/24 months), please comment on this post with your favorite style from their website. Entries will be accepted through October 1st and I'll pick the winner using Random.org. US/Canada readers are eligible. Only one entry/comment per person, please. *Jasper was nicknamed "Jappy" soon after he was born by his big sister, Roo, and it has stuck, for better or worse! so cute! 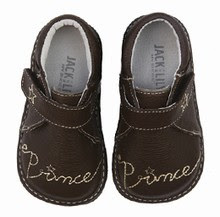 the handsome prince (1400) shoes would be adorable for my bf's new baby! Cap'n Jappy is high sailin' there! Looking good Jasper. 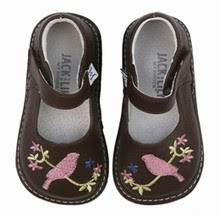 Those little birdie shoes would be perfect for big sister! It's okay. Random.org never picks number one anyway. Everyone can comment now. I like 2 - it's so hard to decide! I like the pink girls shoes with "Love" on them and then also I really like the brown shoes with the birds on them too... so cute! And I need to get Elli some fall shoes, so this would be great timing! I really must have those flying dragon shoes or the skull and bones.. *drool* excuse me while i remove my drool from the monitor..
Definitely hard to choose a favorite! My niece has the bubble whales and the singing love birds, but my favorite pair is probably the enchanting mermaids (1325). I grew up with The Little Mermaid, so I'm not really surprised. I liked the Lovable Lion (1305) in size 3/4 years. Very cute! The Hibiscus/Navy (142) 'My Shoes' are darling. They would match anything and look super cute on my babe!! Thanks for the entry. babysmamatimes3[at]yahoo[dot]com. The Graceful Butterfly (3-4yrs) Thank you! The navy Hibiscus shoes are just too cute~! I love the Anchor shoes in navy. I think it is adorable how the pattern starts on one shoes and is completed on the other! First off let me start by saying these are adorable shoes. I like the adorable baby bear in 3 to 4 years. The looks so comfy and would be great to wear in our little cabin. My favorite is the Lovebirds (that you pictured) but I also love the daisy patch in mint. The "Charming Turtle" in size 3-4 yrs from the original collection. These would be perfect for my daughter who just turned three (and as hand-me-downs for her little sister). 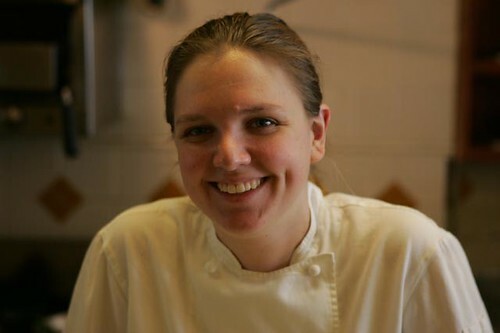 Her nickname is "Turtle" because when she was born, she looked like Cecil Turtle from the old Bugs Bunny cartoons. I love the bubbly blue whale in the original collection. Thanks! delightful daisy sz 2 for us! The sport blue and white in the MyShoes collection in 18-24 mos. My older son loved his pedipeds and grew out of them so fast! He had grown out of their sizes WAY before 24 mos. I hope these will fit our youngest for quite some time. I love the friendly giraffe they are just adorable. I lov ethe handsome prince and the flying dragon shoes! the love birds ones are so cute! Ooh! So many cute ones to choose from. I think my favorites from the "original collection" are either the soccerballs or the cheeky monkey. From the "my shoes" collection, I love the solid chocolate shoes for boys! These are the most adorable shoes! My favorites are the Love hearts/pink (261), perfect for my daughter. What a wonderful giveaway! My favorites are Lovebirds and the Hibiscus in Navy. Thank you for such a great opportunity! I'm so glad I found this blog to discover the shoes. They are just adorable and affordable. I absolutely love the "love hearts" from the Shoe collection. Thanks for the great giveaway! Oh my gosh I am all about the little boots in any color :-) Thanks for the chance to win some of these great shoes!!!! Adorable!! I'm expecting a little girl in a few months and those lovebird shoes are so dang cute. I like the Sport in navy and white for my little one!! Thanks so much!! I have coveted those skull shoes for AGES! Cap'n Jappy wears 'em well, he does! If'n thar be any reason the Cap'n don' learn ta walk in thar fine Jolly Roger boots, then he shall crawl tha plank! The Scourge of the carpets, that lad! oooh. i love the styles of shoes! esp the solid chocolate (252) for my baby boy with BIG feet. I love love love the Lovebirds chocolate shoes, but the black and white saddles are very cute, too. Thanks for the contest! I'm loving the lovebirds in chocolate and also the bashful bunnies on brown leather-- both are so cute! I like the black and white saddle shoes. I love the friendly giraffe shoes. I love the Love Chocolate My shoes. Thanks for the giveaway! The Saddle shoes in Pink and Brown are so cute I could cry!! What adorable shoes. My favorite is the Jack and Lily Prince/chocolate shoes. These are just so cute. Thanks so much for offering this giveaway. I love the Sport in pink. Thanks for the contest! love, love, love daisy patch in mint!!! I LOVE the sport green and white. These shoes are adorable. Love the love birds! Too cute! I like the soccer balls. I love the lovebirds:)!! They are so cute and very classic! I like the Hibiscus in Navy. I like the Flower Power shoes but they are all great. I wish they fit me!! Jack and Lily White Sandals (412) are adorable! I really like the Bashful Bunnies in Size 2/ in pink! Thank you so much for the chance to win! The cheeky monkeys are great! Oh how cute! I love the skull/black shoes. My little fellow would be so cute in those. I think style (302) Sport/White & Green are just darling. Oh they have such great shoes. Favorite is the Jack and Lily Sandal/chocolate. Adorable. I love the Sport/Nave&White. Adorable! I'm with you - I love the Lovebirds shoes! And the hibiscus/navy ones too. How totally cute. I love the Handsome Prince. I'd love the boy's football ones for my baby boy due in November! These are so adorable! My dad's a football coach and sooo excited to have a grandson! The hibiscus shoes are really cute. You're right, the Lovebirds are fantastic. I also like the Pink and Brown Saddle shoes. These are great! I love the Solid / chocolate style (252). Thanks! I love the sport navy and white ones. My new grand-son would love the "Prince" shoes. Thanks for the contest. I loved the pink jolly pirate design, like yours in black but "pinkier". Thanks for a great giveaway. great shoes, i couldn't believe there were so many, I only expected five or six. In the collection, my faves were the bashful bunnies (1310) and the shooting stars (1410). thanks for the give away. your boy is just too cute and your little kitty cat too! Sign me up for the smiling starfish please captain! Thank you so much. The lovebirds are definitely my favorite shoe. Very cute. I love the jack and lily shoes we have. I adore the Graceful Butterfly! I Hibiscus in Navy. So cute. i can just picture E in a sweet little dress and those shoes! i like the plain white pair. I love that they are making more of "shoe" now! They are all really cute! I think I like the brown and pink Saddle shoe the best! So many cute ones! I like the charming turtle (1323) in a 0-6 mos. Love the singing love birds. So cute. They're all so cute. My favorite are the sweet cherries (1406) design. Solid / chocolate (252) shoes for boys the best. So cute. Love the shoes especially the lovebird ones but my daughter is too big for those. I would choose the bashful bunnies (1310) from the original collection for her. I love the endearing elephant shoes! I love the hisbiscus/pink (143) Makes me want to have about three more girls! The perfect penguins are soooooo cute!!!!! Anchor / navy & lt blue! I like the soccer ball shoes. There are so many cute shoes to choose from. I love the pink hibiscus and the black and whte saddle! I love the Lovebirds/chocolate (151) My Shoes. So cute! I really love the endearing elephant shoes! So adorable! Love the heart/pink! I'd need an 18-24 mo. Thanks! I really like the solid chocolate boys shoes, although I'd choose the skull shoes for my son. I just thought I should comment on a shoe not mentioned in your post. The skull shoes rock. We have a pirate them going in the baby's room. But since you showed those in the review, I also like the anchors (again with the nautical theme) or the solid navy which would go with everything. I love love the skulls!! I like the navy and white sport ones too! My fav is the saddle pink and brown from the my shoe collection. They are so cute! solid - navy . Thanks for the contest! Those Prince shoes are adoreable. Wish I had a boy. The charming turtles are charming indeed!!! love hearts in size 3-4 years for my daughter. They are so pretty. Thank you! I'm usually one to go with the basic white that goes with everything but I simply can't resist the chocolate lovebirds. These shoes are absolutly adorable. Size 6-12months would be perfect. I too want the Lovebird My Shoes for my learning-to-walk 12 month old. Oh my word, I love love LOVE the chocolate lovebirds shoes! ADORABLE! Thanks so much for this giveaway! Love the "Handsome Prince" shoes. So adorable! I love the skulls and the lovebirds in chocolate that you posted. In order to be fair, though, I'll say the hearts on chocolate, but in all honesty, I prefer the two you featured. I don't know what the baby is, so I can't decide between those two. I am TOTALLY willing to wait until the skull and bones ones are back in stock - they're SO stinkin' cute!!!! What a fun giveaway!! This was a tough decision, for sure, but if I had to pick just 1 pair it would be the charming turtle. SOOOOO cute! Thanks for the contest! I meant to comment on this when you first posted, but just didn't get around to it...sorry! He looks so adorable, as usual. I'm so into the pirate things, I think because I loved the Playskool pirate ship my brothers and I had as kids. I find myself bookmarking all kinds of cool pirate and skull stuff to get Sojo as he grows up. I'd have to say the Skulls are my favorite too for my little punk rocker. And please tell me you don't have a pirate ship wheel (don't remember what those things are called) in your house. That would be too awesome, along with bra-panda. I like the Heart shoes in Chocolate. Very cute! I love the Jack and Lily My Shoes. My favorites (can't pick just one) are the Lovbirds/chocolate My Shoes and the Heart/chocolate My Shoes. So cute. I love the sailboat ones! They are adorable. I would love the baseball shoes. so cute!! The Sport / white & green are my fav! Oh my! I don't know if I'll be able to wait for you to draw a winner. I might be buying some of these puppies TO-night!! But, I'll go ahead and enter. My faves are the Lovebirds, but I also love the Saddle in pink/brown. Oh heck, I really like all of them and want one of each. Do they come in my size? How cute are the lovebirds!? What adorable shoes. Thanks! perfect penguins (1320) 3-4 years. Thank you so much! Skull / black Size 24mths!! delightful daisy for 2-3 year olds. I love the Sport in navy/white! These are adorable and would go with anything that he wears. Size 6-12 months. The lovebirds size 12-18 months would be my first choice, although it looks like they are out of stock at the moment. A close runner up would be the pink hibiscus for 12-18 months. i love the flying dragon shoes!! i love the skulls for my daughter. so fun under a little dress! they are worth the wait! I love the Hibiscus / navy. They are gorgeous! The light blue friendly giraffe in 0-6 mo. So cute!! the love hearts shoes are too cute! I'm in love with the bubbly baby whale. I love the little football shoes! They are all so cute! But, being a practical girl, I'd go with the solid/chocolate pair for my boy. Thanks for the contest! I love the Anchor shoes in Navy. They would be perfect for my almost crawler! The Mint Princess ones are so adorable!! PS -- Jasper looks SO cute in these shoes! The Jack and Lily my boots / pink would be perfect for my little sister! I really like the Prince/chocolate (243) shoes! They are adorable!! OK, my back up favorite pair is the pink Jolly Pirate (1404). We do have a pink skull shirt that those would match perfectly... and come to think of it, I think we have a dress in the next size up that they would be perfect with too. love the "prince" in chocolate! i like the navy/white sports. I am loving these shoes.If I had to pick one pair, it would be the sport navy/white because of their versatility. My faves are the skull. My 2 yo says that we are pirates and that her brother is a baby pirate so those would be parrrrrrr-fect. Arrrgghhh. I love the solid chocolate shoes in an 18-24 month size. These would be the perfect little shoes for a Thanksgiving or Christmas outfit...so adorable! Thanks for the opportunity! I'm a little boring, but I really like the Solid chocolate shoe for the boys. I like shoes that go with lots of outfits. Sport / navy & white are really cute, too. I would pick either one for my son. These are adorable. I love the chocolate/lovebirds. My sister just had a beautiful baby girl and these would be great on her. The sport pink shoes in size 18-24mos would be great. Thank you for the opportunity. I never even heard of these shoes before! I really like the Daisy Patch Mint #172, size 3&4 Toddlers. My niece Ava Grace would look marvelous!! The perfect princess (1401)would be perfect for my new princess who will make her grand debut on Saturday!!!! saddle shoe in pink metallic. Thanks for the awesome giveaway! I love the Hibiscus / pink (143). 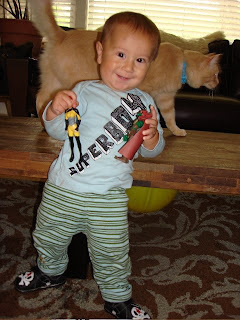 I love the cheeky monkey shoes, especially since they're gender neutral. I like the Hibiscus Pink shoes. I love these! why aren't they in my size?! would love to win the skull, prince/chocolate or sport/white and green for my nephew. The Hibiscus Pink shoes are adorable. oh these are adorable! I like the Sport / navy & white! I would have been undecided mysely...so many really cute designs! I love the Enchanting Mermaid in size 3-4. It perfectly suits my daughter's "style"
The "playful puppy" shoes are really cute! Those in 0-6 months would be great!